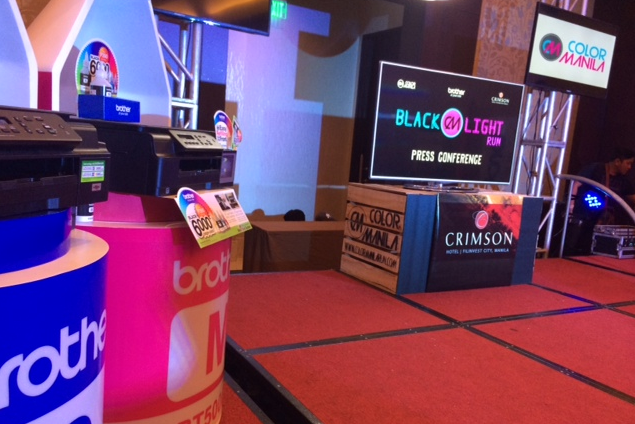 A new set of refill tank ink printers will be unveiled by Brother Philippines through an upcoming Color Manila night run. In a statement, Brother Philippines president Glenn P. Hocson disclosed that they see the event as a perfect venue for the formal launch of the new product line. “The colorful event will not only highlight Brother’s Refill Tank System’s CMYK refillable ink bottles, but also our competitively priced 6,000 page-yield that meets high print volume users’ need for lower ‘running’ costs,” he said. At the same time, Brother Philippines intends the event to be an opportunity for its partners and customers to experience the unique fun run. The company hopes the launch of its new range of printers will be a more memorable one. The two 3-in1 inkjet Multi-Function Centers will be: DCP-T300 (with a suggested retail price of P8,450) and the DCP-T500W (suggested retail price of P9,450). Both are designed for personal and business users. The new printers can be ideal not just within home offices but also within SME environments, where bigger savings in printing costs would surely matter. The exciting series also comes with low-cost ink bottles with ultra-high 6,000 page-yield for black ink and 5,000 page-yield for color ink. Both are additional models to the present Ink Benefit inkjet MFCs from Brother. The Brother Refill Tank System has an interesting smart design to make ink-refilling much easier and faster. At the same time, ink wastage is minimized. A user just needs to literally refill ink from the bottle provided. The new range has a built-in ink tank see-through cover that makes it easier for users to monitor if there’s still ink to carryout printing tasks. Ink calibration time is also faster by seven minutes when compared to calibration time of competing brands. To learn more, you may join the ‘Brother Color Manila Nite Run: Blacklight Edition’ to be held on May 16 (Saturday) at the Filinvest City in Alabang, Muntinlupa City. The fun run is set to start at around 7 p.m. You may register here. The Brother-Color Manila fun run will also be held in Davao City (register here ) on May 24 and in Cebu City (register here ) on May 31.